The Three of Cups is a card of celebration, of friendship, of being grateful for it all! This card whispers in your ear, It's time to dance! 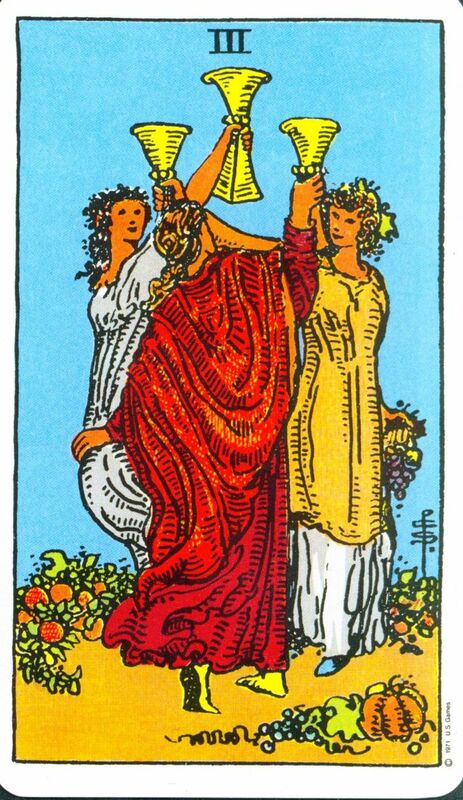 The three of cups beckons you to let your hair down, to get a bit wild, and to cherish everyone and everything in your life. You are on fire, it is time to shine bright, to get big and to share in the beauty with the ones you love!